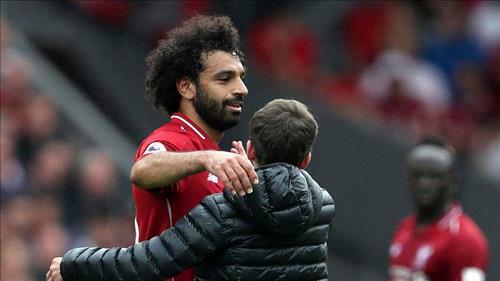 AMMONNEWS - A young boy invaded the pitch at Anfield stadium during Liverpool’s match with West Ham on Sunday to hug Egyptian and Liverpool striker, Mohamed Salah. The video, which quickly spread on social media, shows the young boy running to “the Egyptian King”, who dealt with the incident by hugging the boy and whispering words into his ear amid a clapping audience. Salah scored the first goal of the Premier League match. Liverpool won with four goals to nothing.